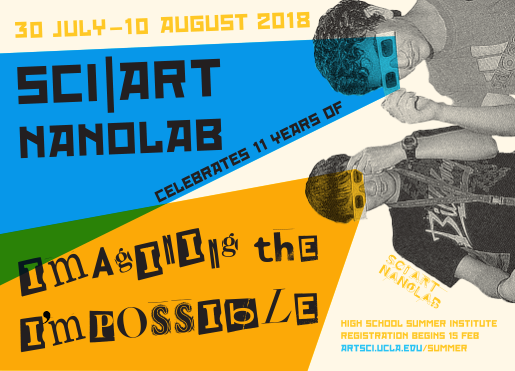 The Sci|Art NanoLab is a highly competitive, 2-week summer program for high school juniors and seniors interested in collaborating with diverse and notable minds to challenge traditional, polarized perspectives of the arts and sciences. This joint venture between the California NanoSystems Institute (CNSI) and Department of Design|Media Arts, sponsored by the Art|Sci Center, brings together two of the most competitive majors at UCLA. This is an excellent opportunity for students interested in both science and art to build their portfolio for college admissions while earning FOUR UNITS of transferable UCLA CREDIT for the two-week course. The course will be supplemented with field trips, guest scholars and lecturers, while offering students the opportunity to experience college life on the UCLA campus. 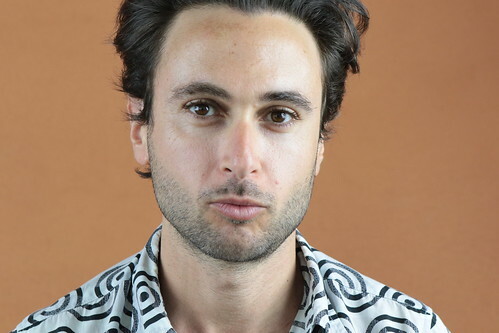 The Sci|Art NanoLab challenges the next generation to Imagine the Impossible!